January 30th 2019 – Gideon J. Miller, Esq. and Eric A. Gang, Esq. Not every veteran who is exposed to traumatic events develops PTSD. Certain situations are more likely to cause PTSD than other situations. This is particularly true for soldiers who are asked to kill during service. Throughout my lengthy career as a veterans' disability benefits attorney, I have seen the VA deny many veterans service connection for chronic pain - simply because a doctor can’t identify the source of the pain. 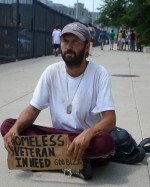 Chronic homelessness remains a significant problem for U.S. veterans, with an estimated 40,000 veterans included among the 553,000 Americans who have no place to call home. I have long been interested in the association between mental disorders and various physical health problems.